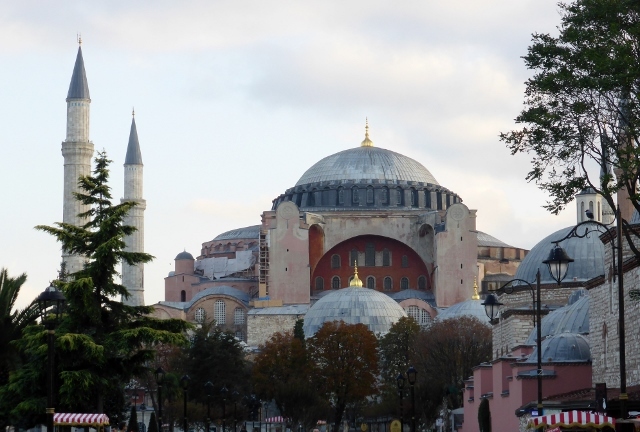 We arrived late, checked into the hotel in Sultanahmet on Wednesday night. We were determined to get up to make the most of our few days in Istanbul. We are at the bottom of the hill but it isn’t long before we see evidence of the Blue Mosque, minarets shining brightly in the sun. 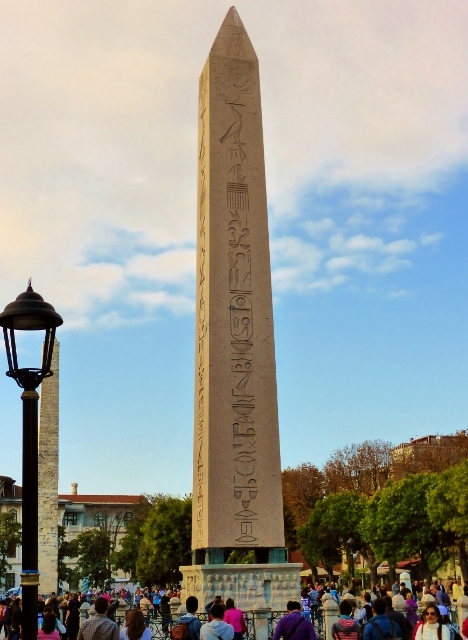 In fact, in this historic centre of Istanbul, many famous sights are within easy walking distance. We follow our gaze at the beautiful Blue Mosque and end up at the Greco-Roman Hippodrome, a race course for horses or chariots, but now is a park with several ancient structures including the Obelisk of emperor Theodosius, who in 390 brought one third of the obelisk from the temple of Karnak in Luxor, Egypt. Looting and re-purposing has been going on for a thousand years. 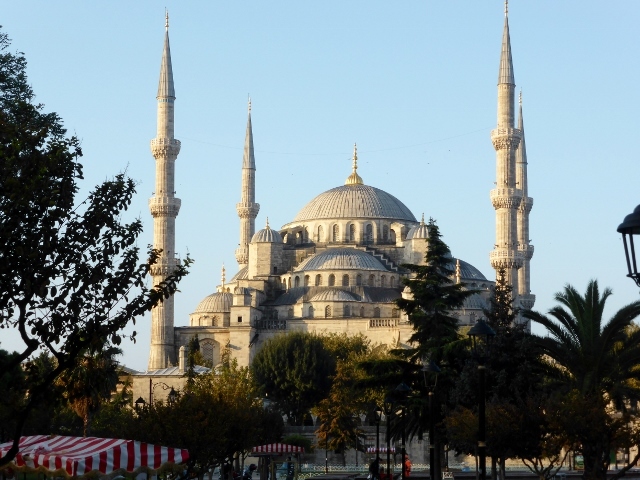 The Blue Mosque or Sultanahmet Mosque stands in quiet beauty facing the equally beautiful Hagia Sophia, once an Orthodox Cathedral from 537 to 1453, then an imperial mosque until 1931, when Ataturk converted it into a beautiful museum. We took the tram over the Galata Bridge to the Galata Tower, visited Taksim Square and had coffee at the Dolmabace Palace. 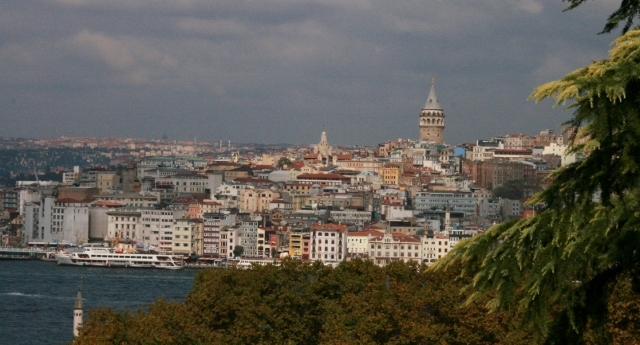 Galata Tower is a Genoese medieval stone tower standing over the Golden Horn’s junction with the Bosphorus. What the tower gave us were 360 degree views of Istanbul. We finished our day shopping in Arasta Square and there is always the Grand Bazaar tomorrow. Try YouTube for the song, it’s very catchy and you too can have an earworm.